As a long-time resident of NSW Australia, guest contributor Leslie Connor from Empty Nesters Travel Insights, knows quite a bit about exploring all that Australia has to offer. After already covering Melbourne, Sydney and Canberra for My Itchy Travel Feet, this week she’s back with an in-depth guide to Adelaide. South Australia’s capital, Adelaide is a vibrant cosmopolitan area with a strong museum scene, great transport optins, breathtaking scenery, and above all, endless options for active boomer travel. The South Australian capital, Adelaide is the gateway to many great Australian experiences. Whether you are keen to explore the surrounding wine regions, or get off the beaten track into Central Australia and the Northern Territory, Adelaide will be your starting point. From Adelaide you can also join two of Australia’s great rail journeys. Board the Indian Pacific as it crosses the Nullabor Plain on a luxury three day journey from Sydney to Perth. Adelaide is also the starting point for “The Ghan” rail expedition through the “Red Centre” to Darwin in the Northern Territory. Even if you are only stopping by for a day or so before starting your main trip, it is well worth making some time to explore our southern city. Adelaide is one of the more graceful cities we have visited in Australia, perhaps because it is linked to my memories of visits to my great aunt. It was Australia’s only convict-free settlement and the beautiful old sandstone buildings, with their unique stone edging and iron lace, reflect this colonial history. The city was originally known as the “City of Churches”. St Francis Xavier Catholic Cathedral is a good example of this heritage. However Adelaide has also developed a vibrant cultural scene, with festivals, sporting events and great bars and restaurants in which to relax after a day’s sightseeing. When visiting Adelaide, we have usually been fortunate to stay with relatives. However, the city has accommodation catering to all tastes and budgets. In recent visits we have chosen beachside accommodation at nearby Glenelg, away from the hustle of the main city. The Stamford Plaza on North Terrace offers luxury accommodation within easy walking distance of most attractions. Have we inspired you to visit beautiful Adelaide? Start your search for hotels in Adelaide with us! • The Adelaide CBD is only a 10 minute taxi ride from the airport. There is also a commuter bus, which will take you directly to the city and most hotels operate a shuttle service. • Within the city, Adelaide is very easy to get around. The Adelaide Metro is a tram, bus and rail system which runs through the city. If you are staying for a few days it would be worth purchasing a “Metro Visitor Pass”, which will save you money on transport costs. • Active boomers may enjoy renting a bike to take advantage of the many bike paths around the city. It is a very flat, well laid out city, making it very easy to explore on foot or cycle. • Gouger Street and Rundle Mall are the best places to eat in Adelaide. Whether you are looking for a quick coffee or takeaway lunch, or a fine dining experience you will find a great range of meal options on these two main restaurant precincts. • Our particular favorite would have to be the Japanese restaurant we found in the Stamford Plaza hotel off North Terrace. It has an unusual mix of Japanese and French cuisine. I was a little unsure at first, but the ocean trout, cooked in a bag with all the vegetables, was sublime. • South Australia is renowned for wine and Adelaide is surrounded by vineyards and wineries to explore. There are more than 200 wineries within an hour’s drive from the city. Many of these vineyards provide award winning restaurants, where you can pair your chosen wines with an excellent meal. • Take an easy 30 minute drive into the Adelaide hills. Here you will find rolling, green vineyards and over 60 wineries. Spend the day sampling some of Australia’s finest wines, accompanied by a gourmet lunch at one of the many cellar doors. It is also worth taking a drive up to “The Hills” after dark for the spectacular view of the Adelaide city lights. 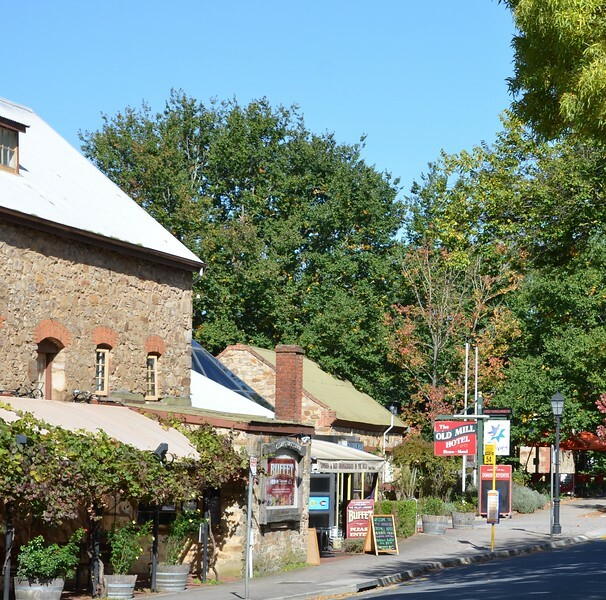 • While in the Adelaide Hills, make time to visit the historic town of Hahndorf. Established by Lutheran immigrants in 1839, it is Australia’s oldest surviving German settlement. Much of the village’s heritage remains intact. Browse the quaint historic buildings, and enjoy some authentic German fare at the many cafe’s restaurants and bakeries. You will find many boutique cellar doors, craft breweries and artisan cheese outlets where you can sample the local produce. Take a drive into the Adelaide hills to the historic German settlement of Hahndorf. It really is lovely! • As the opal mining capital of the world, Adelaide is also a great place to pick up a special memento of your travels. At Unique Opal Mine in Rundle Mall, you can visit a recreated underground opal mine. You may even have the opportunity to see jewelers and opal cutters in the process of polishing these gems. • West End Brewery is located a couple of tram stops out of town. It was established in 1886 and still manufactures a range of craft beers and ciders. You can take a tour of the brewery, including beer tasting. • Look out for the Beehive building on the corner of Rundle Mall and King William Street. Haigh’s Chocolates are one of South Australia’s most famous brands. The store has been supplying chocolate lovers for over 100 years. Make sure you take the time to step inside and sample the sweet treats. 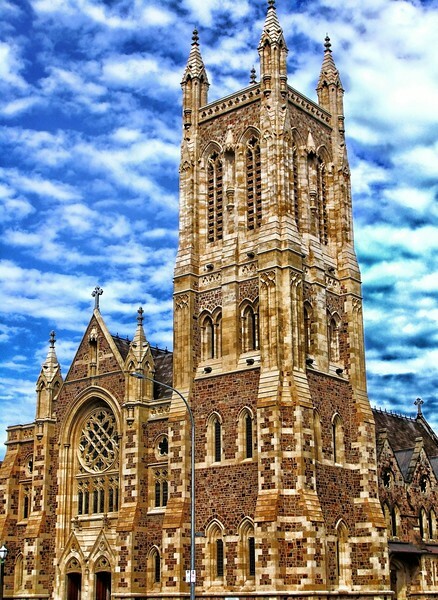 • Adelaide is known as the “Festival City” holding regular art, music and cultural festivals. Make sure you check out what’s on before you visit. • Check out a sporting match at the Adelaide oval, which hosts major cricket and AFL football matches. It is also possible to do a tour, including climbing onto the roof for views across the oval and the Torrens River beyond. Looking for more active travel options in Australia? Check out Leslie’s past articles: Active Travel Guide to Melbourne and Active Travel Guide to Sydney. Adelaide is located along the banks of the Torrens River, where active boomers will enjoy walking, cycling and taking in the beautiful, leafy scenery. if its good weather, save a day to spend some time on the water! Take a cruise down the Torrens River on a luxury cruise boat, venetian style gondola, or kayak if you are after some exercise. You can also hire a barbecue boat and enjoy some authentic Australian food as you cruise down the river. 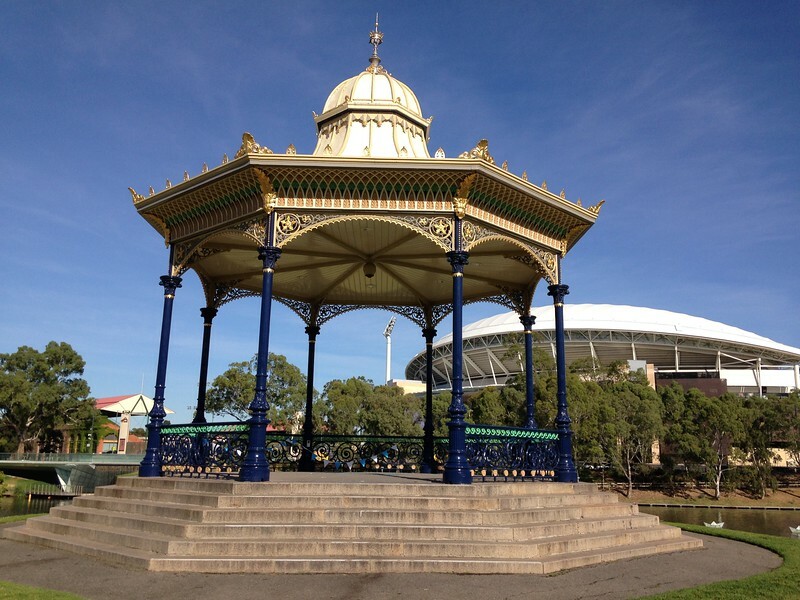 Along the way you will pass the historic Elder Park Rotunda and the Adelaide Zoo as you sail under the footbridges over the Torrens. Why not hire a bike and cycle through some of the surrounding parkland and along the river reserve? The Rotunda in Elder Park has become an Adelaide landmark. Active boomers will enjoy walking and hiking around some of the many nature reserves and parks surrounding the city. Cleland Conservation Park in the Adelaide Hills is a 20 minute drive from the city center. The park has an excellent network of walking and cycling trails. These include the popular walk to Mt Lofty Summit and Waterfall Gully, a three hour hike taking you through natural bushland with spectacular views over Adelaide below. Another option is to visit Cobbler creek recreation reserve in North Adelaide has 17 kilometers of shared walkways. Stroll through 256 hectares of native grassland, past gum-lined creeks and enjoy a spot of bird watching along the way. In the North Terrace cultural precinct you will find the State Library and Museum of South Australia among the many heritage listed buildings. • The State Library of South Australia on North Terrace is worth a visit. Among the permanent exhibits is the “Bradman Collection”, memorabilia from the life of Australian cricketer, Sir Donald Bradman. • Nearby on North Terrace you will find the South Australian Museum and Art Gallery. The colonial buildings are worth a visit for the unique architecture. In the past our children have enjoyed many hours exploring the natural history collections within the Museum. 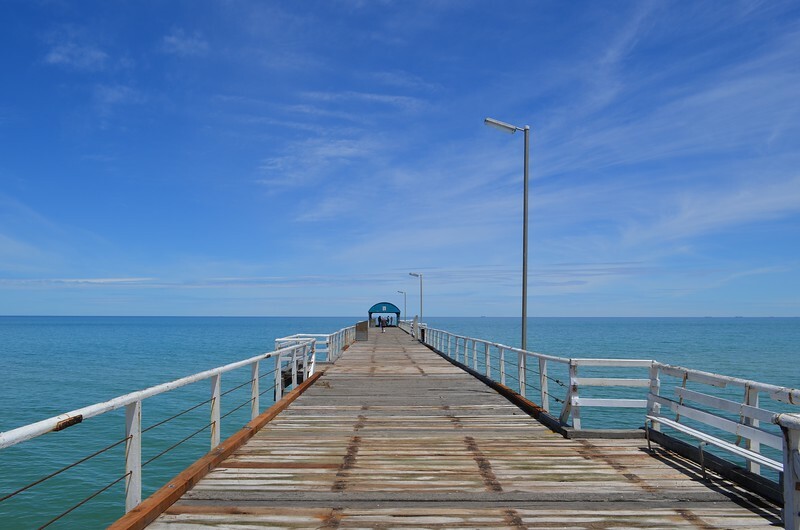 Take a long stroll on the Glenelg pier. Glenelg Beach is a popular seaside resort and the oldest European settlement on mainland South Australia. Here, you can enjoy a dip in Adelaide’s most popular beach, rent a bike and ride or walk along the coastal walkways, or stroll along the iconic jetty or relax in one of the many cafe’s by the waterfront. One feature of Glenelg is the gracious old buildings remaining from the initial settlement. The Glenelg Tram is the only remaining tramline in Adelaide. If you take the tram on a weekend or public holiday, you will be able to ride in an historic H class carriage dating back to 1929. • Rundle Mall is the main shopping precinct. Many of the buildings along the street date back to the city’s origins in 1837. The Adelaide Arcade and fountain outside were built in the late 19th century. In the Mall you will find everything you need for a little “retail therapy”, from high end fashion stores to the local markets. • Look out for the contemporary statues, including a giant cockroach, and the pigs rooting around in a rubbish bin. Truffles, Horatio,Oliver and Augusta are four life-sized bronze pig statues who greet shoppers in the mall. They were initially a little controversial, but they have become a popular Adelaide tourist attraction. 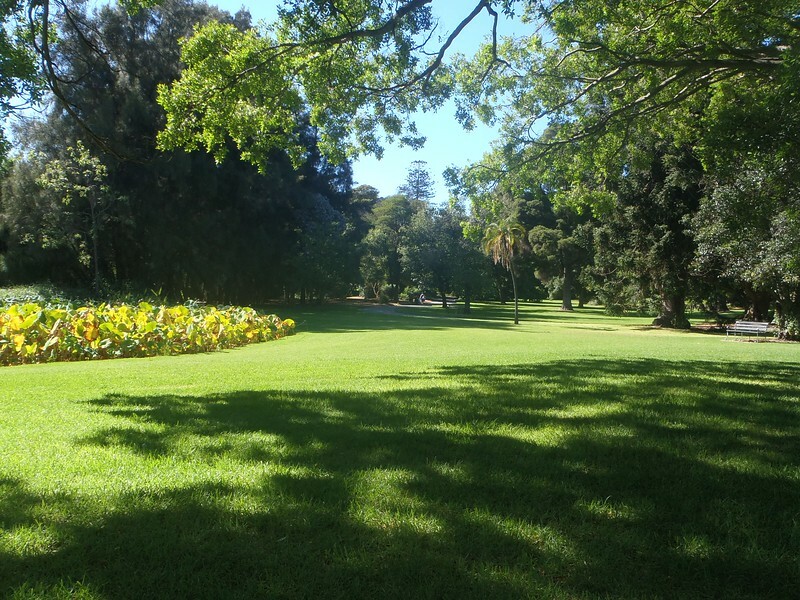 Take a break from your sightseeing to enjoy some of Adelaide’s beautiful parks and gardens. Set in 51 hectares of parkland, the Adelaide Botanic Gardens were opened in 1857. Visit the Bicentennial conservatory, the largest single span conservatory in the southern hemisphere. The conservatory cultivates a number of endangered plant species from across South East Asia. Horticultural enthusiasts will also be interested in a visit to the Museum of Botany. Wander through the beautiful Adelaide Botanic Gardens. • Just outside the Botanic Gardens you will find the National Wine center. Take a wine appreciate course, or sample the local produce in Australia’s largest wine tasting room. The center holds regular dinners and cultural events. 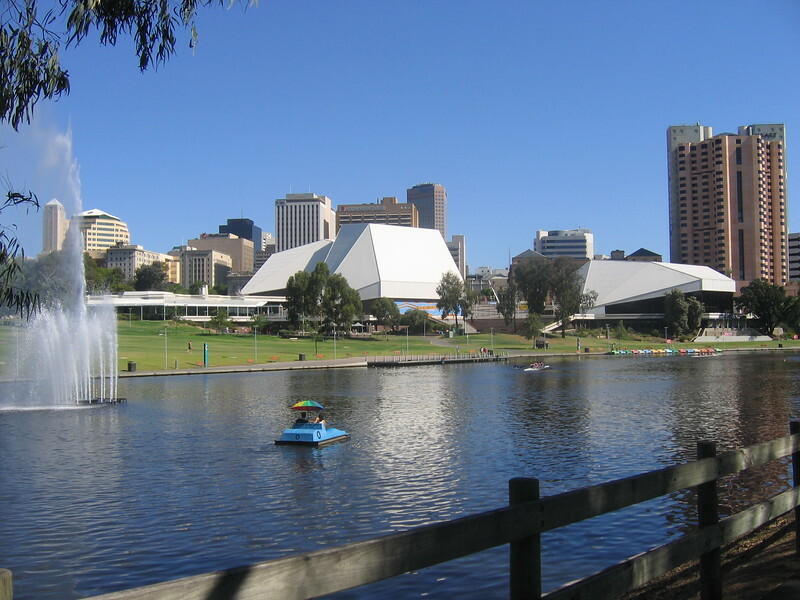 • In Elder Park, on the banks of the Torrens Lake, you will find the rotunda which has become an Adelaide landmark. The wrought iron bandstand was erected on the banks of the river in 1882. The precinct now hosts many community events and is a lovely area of the city to enjoy a lakeside stroll. • The Japanese Himeji garden on South Terrace was a gift from Adelaide’s Japanese sister city. It is an oasis of calm in which to relax after a hectic day’s sightseeing. Starting from the gatehouse, the pathway leads you through the mountain and lake features, onto the dry rock and stone features. • Meet the locals at the Adelaide Zoo, an easy walk along Frome Road from the CBD. Set in beautiful parkland, the Zoo is the second oldest in Australia. It is home to over 300 species, including the only Pandas in the Southern Hemisphere. As you can see, before you head off on any Australian outback adventure, it is well worth setting aside some time to explore Adelaide!